A new German customer enquired for some obsolete cast iron Bearing Housings to suit Bearing 23220E. We manufactured new pattern equipment and produced new castings very quickly. They were supplied with special Labyrinth Seals and Shaft End Plates as a complete assembly. All Bearing Housings were to suit a blank shaft. With our policy of continued improvement, we have invested in this brand new Mori-Seiki SL80C CNC Lathe. This excellent lathe allows us to turn up to 1000mm in diameter. This will enable Bri-Mac to machine large SNL Bearing Housings to very tight tolerances. The lathe is now in full production. Brexit was never going to stop us at Bri-Mac . . These HBND Bearing Housings made in Cast Steel were exported to Ireland for a crushing application. Produced from Bri-Mac pattern equipment, out remit was to produce Housings with a solid base. Expomin Santiago: 25th April - 29th April 2016. Bri-Mac are pleased to announce that they will be exhibiting at Expomin 2016 in Santiago, Chile. We will be showcasing our range of heavy duty bearing housings for the mining industry. We look forward to meeting you on our stand number 328c - 1B. 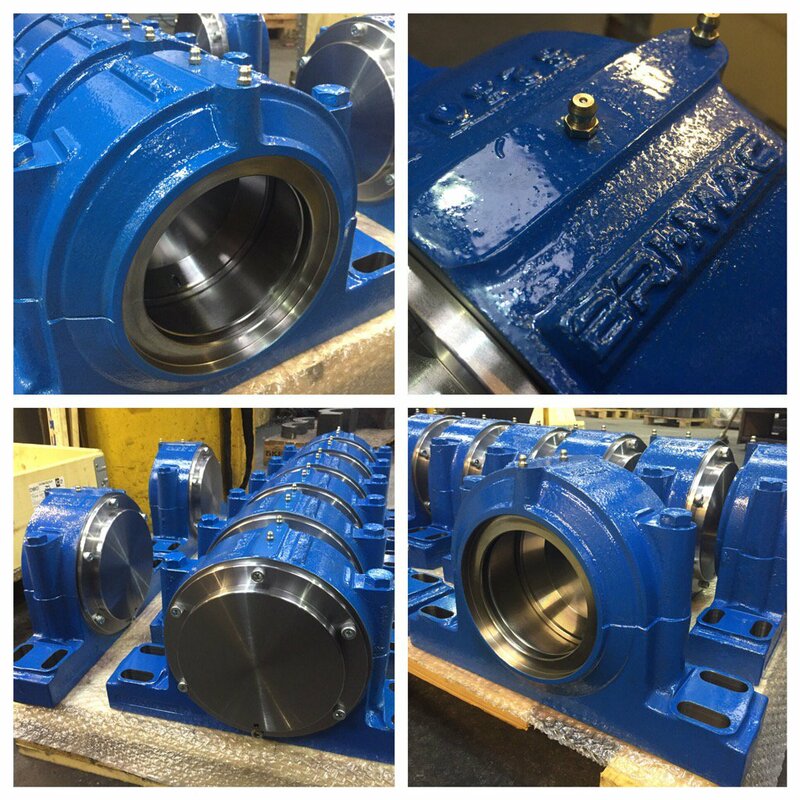 Our design team have recently reverse engineered a 60 year old set of 4 x Bearing Housings for a customer in Iraq. Oil Lubricated housings with special seals were required for a Power Station contract. Made in cast Iron (GG25), these special units were shipped by air on completion. A set of 2 x Bearing Housing to the SDG design were made this month for a German customer. Using Bri-Mac pattern equipment, we designed and manufactured these housings in SG Iron (GGG40). To suit a dirty and dusty environment, our challenge was to design a clever & robust seal. We achieved this by making modifications to our tooling and producing a bespoke End Cover. 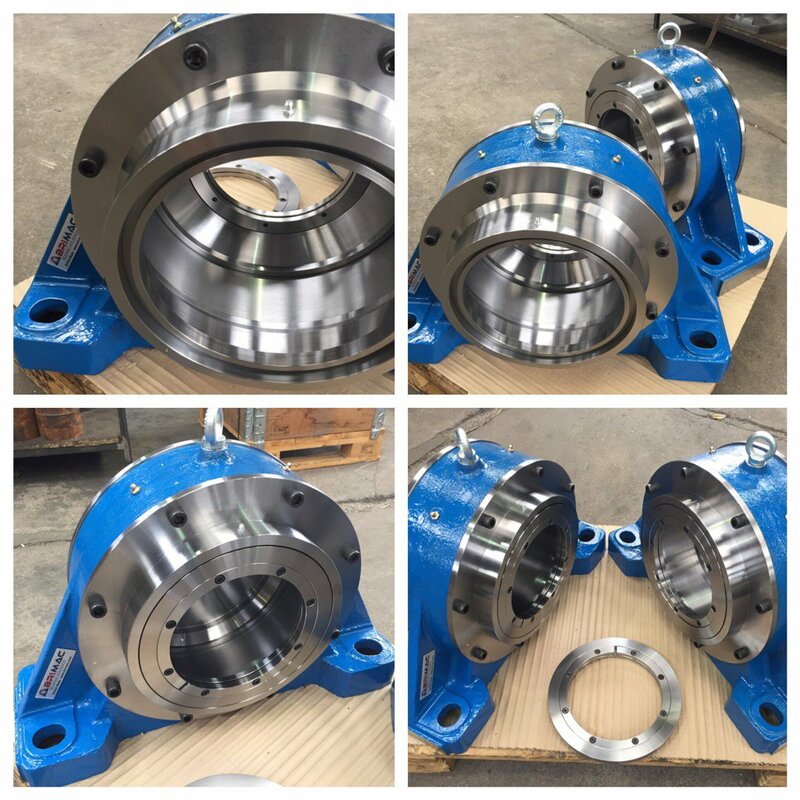 Cast Steel Bearing Housing: SDT 3144. To receive bearing: 23144K. Then the special challenge – we designed a SPLIT Taconite Type Outer Seal to house a standard TS44 Lab Seal. Working in a very harsh Steel Mill environment, our French customer needed to shield the bearing from the surround atmosphere. Our Split design, made in steel, will help our customer to make quick inspections and maintenance checks to the inner Lab Seal without having to take the housing out of action. In addition, made from a high grade alloy steel, the housing is strong enough to withstand shock loading and will certainly last longer than the original cast iron housing. Designed by Bri-Mac’s new Engineer, Cameron McCairn.